KATE HEIN KEEPS hearing someone calling her name in the old farmhouse where she lives alone. Is the place haunted or is something wrong with her? One night a group of ghostly figures shimmer into view. They’re sitting around a table at what looks like a séance—and they’re calling Kate Hein’s name. 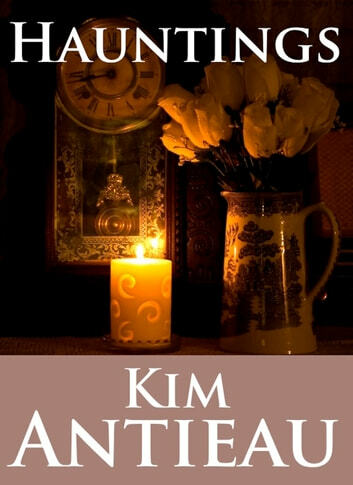 KIM ANTIEAU HAS written many novels, short stories, poems, and essays. Her work has appeared in numerous publications, both in print and online, including The Magazine of Fantasy and Science Fiction, Asimov’s SF, The Clinton Street Quarterly, The Journal of Mythic Arts, EarthFirst!, Alternet, Sage Woman, and Alfred Hitchcock’s Mystery Magazine. She was the founder, editor, and publisher of Daughters of Nyx: A Magazine of Goddess Stories, Mythmaking, and Fairy Tales. Her work has twice been short-listed for the James Tiptree Award and has appeared in many best-of-the-year anthologies. Critics have admired her “literary fearlessness” and her vivid language and imagination. Her first novel The Jigsaw Woman is a modern classic of feminist literature. She is also the author of a science fiction novel, The Gaia Websters and a contemporary tale set in the desert Southwest, Church of the Old Mermaids. Her other novels include Her Frozen Wild, The Fish Wife, and Coyote Cowgirl. Broken Moon, a novel for young adults, was a selection of the Junior Library Guild. She has also written other YA novels, including Deathmark, The Blue Tail, Ruby’s Imagine, and Mercy, Unbound. 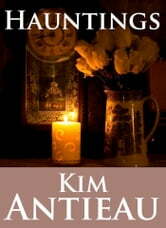 Kim lives in the Pacific Northwest with her husband, writer Mario Milosevic. Find her books at your favorite ebook store.